Your company has just spent days or weeks setting up a PPC campaign and your ads are getting lots of clicks. Everyone is happy for a few weeks until you come to realize … something’s not working. What’s going wrong? You’re doing everything right. You’ve followed all the advice, built a beautiful PPC campaign with targeted ad groups, exact match keywords, and compelling ad copy but you’re not getting the results you should be. We’ve seen this so many times! Many clients in this situation come to us to take a look over their PPC campaign and pinpoint what they are doing wrong. But here’s the thing: Often there is very little wrong with the PPC side of things. It’s what happens after the click that spoils the party. Everyone is concerned about outreach—and they should be. Attracting the right prospects to your company website is important. But it’s what they do once they get there that’s really important. How they behave. And it all comes down to directing your prospects to the right landing page—optimized to convert—after they have clicked on your ad. The first thing you’re doing wrong is sending people to your home page. It is no good setting up a campaign for a specific offer, coming up with all those ads, and then sending your prospects directly to your homepage expecting them to hunt and find the details of that offer all over again. You need a landing page. Landing pages have one goal: To get conversions. They achieve this by sticking to a number of proven strategies that you can implement to improve your PPC fortunes almost immediately. Here’s what you need to know to ensure your company’s landing pages convert. Message match is the first thing you need to get right with your landing page. What this means is that the content of your landing page should immediately and obviously match the content of your PPC ad. So if you have a PPC ad with the headline “Half-Price Printer Sale,” your landing page headline should reflect this. It does not have to match it exactly—but you don’t want people to arrive on your landing page and think they are in the wrong place. They should know they are in the right place immediately. Go over your ads, look at your headlines, and make sure the same message is clear on your landing page. Do it now. You don’t need to be a professional copywriter to get the message match right. If you have different ads for multiple campaigns, create new landing pages for each of them. These pages can be identical in every way apart from the headlines, and that way you will ensure your message match is right. PRO TIP: If you’re using the right tools, like Unbounce landing page software for example, you can take this a step further with dynamic content. Imagine automatically being able to swap out key statements and CTA’s dynamically based on a number of factors. So now your prospects are landing on a dedicated landing page with proper message match. Great! This alone will often be enough to see your conversions rise. Now there are some other elements you need to implement to boost your landing page power, and one of these is social proof. One of the simplest ways to incorporate social proof is in the form of testimonials. Testimonials from previous customers are powerful influencers. They are especially powerful when they are accompanied by photos of the said customers. If you can get video testimonials, these are certainly worth experimenting with too. Testimonials are not the only form of social proof. You can also feature the number of Facebook Likes and Twitter Retweets that you have built up (if it’s a big number), the amount of people who have signed up to your newsletter (again, if the number is impressive), the amount of people who have signed up to your service, the clients you have helped, and the well-known publications that have featured your products. These are all forms of social proof, and they do the same thing: Build trust. If all of these other people have used your service and found it useful, that is only going to help convince new prospects. Guarantees help reduce conversion anxiety. It can be a guarantee about your product, service, or even how you’ll handle their submission. No matter how much social proof you have, your prospects are still going to be wary of parting with their money or even their email addresses. There is always an element of anxiety preventing them from entering into this contract with you, so you have to sweeten the deal. Guarantees are your way of doing that. If you sell a product, provide a full money-back guarantee for 30 days. Or 60 days. Or for a year! Yes, some people will take you up on the guarantee. But the amount of extra business you could win by providing the guarantee in the first place could more than make up for this. Do not provide too much noise on your landing page. You can pack in as much information as you think it needs, but avoid confusing your prospects. Your landing page should provide a very clear and simple guide that leads your prospects from the headline to the call to action as smoothly as possible. Use directional cues like arrows and photos of people looking towards the CTA. Do not provide links anywhere else on the page. The only way to leave the page should be through the CTA (or sometimes your company logo). If visitors leave the page in any other way, they are not coming back. Another area where simple works best is the form you use to collect their details. As a general rule, keep fields to a minimum—unless you have a very good reason to ask for the information. For example, depending on your product, you may really want to know your prospects’ job titles and telephone numbers. Indeed, this could even show your true prospects that you care about who they are, therefore generating more profitable leads. PRO TIP: You can combine philosophies to please your marketing dept (number of leads) and sales dept (quality of leads). Keep the initial form as short as possible, then upon submission don’t send them to a simple thank you page. Send them to a page that asks a few more questions. It’s a great way to incrementally capture more info about your potential prospect. Best of all, if they don’t complete the followup questions, you still have a lead to follow up on. But if there is no real need for more information, asking for less is usually better, and that could mean nothing more than their name and email address. If you’ve been on out blog before, you know from CEO Jason Corgiat’s recent blog that the right subject line can more than double your email open rates. Now that we are on to landing pages, you can test the various elements there as well. As long as you are getting a certain amount of visitors on a regular basis, you can instantly change an element on your page to find out whether it increases conversions. PRO TIP: As with anything based on numbers and averages, make sure you collect enough data! Getting 50 people to your landing page is nowhere near enough to make solid decisions about what’s working and what isn’t! 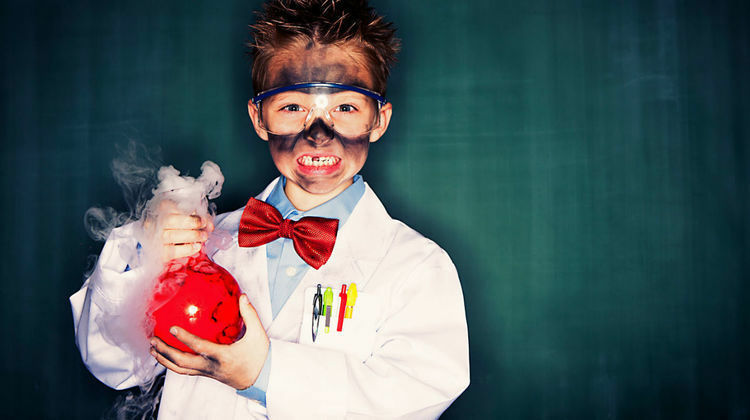 Landing page testing should be treated like a science experiment. Never test too many variables at the same time! So test the number of fields in your form and see what difference it makes. Then test the headline. Then test the sub-heading, call to action, images, testimonials, guarantee, colors, fonts, —and anything else you want to. You’d be amazed at the things we’ve found that can affect conversion rates. PRO TIP: Please-oh-please don’t change multiple elements at a time. If you’re split testing headline copy with 3 variants, then that had better be the ONLY difference between those 3 variants! It is only through careful testing that you will maximize your conversions in the long run. While all of the above tips are best practices, you may find some surprising results with your testing, so never pass up the opportunity to get more conversions. If you are disappointed with the results of your company’s PPC campaign, it could be time to look beyond the ads themselves. This is especially true if you are generating a lot of clicks but conversions are still disappointing. When we’re hired on for this kind of work we call it a “post-click analysis”. (Shameless plug alert!) Yes, this is yet another service that is covered in our 10-hour flex blocks. Then follow these guidelines to create a landing page that sends your conversions skyrocketing!